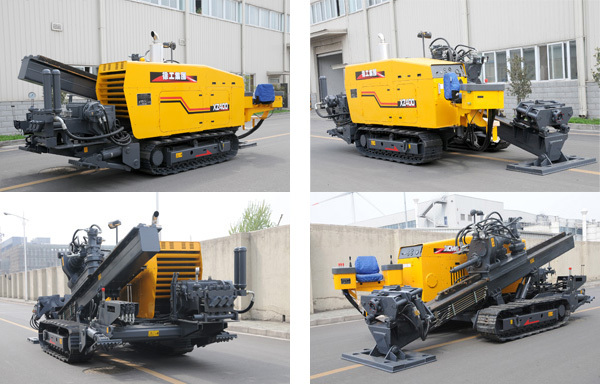 XZ400 XCMG Horizontal Drills type horizontal directional drilling machine has the advantages of compact structure, beautiful appearance, main technical performance parameters reach the domestic advanced level. The main components,parts selection of well-known brand products, good performance, stable quality, the good use reliability. 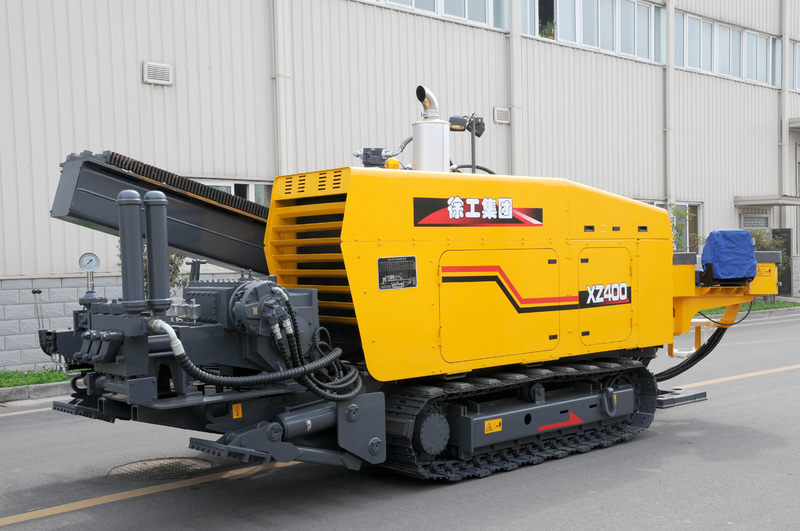 High power: XZ400 XCMG Directional Drills adopts 179kW diesel engine with the feature to increase turbine torque, ensuring that drilling rig can lay the pipes well in various complicated geological conditions. 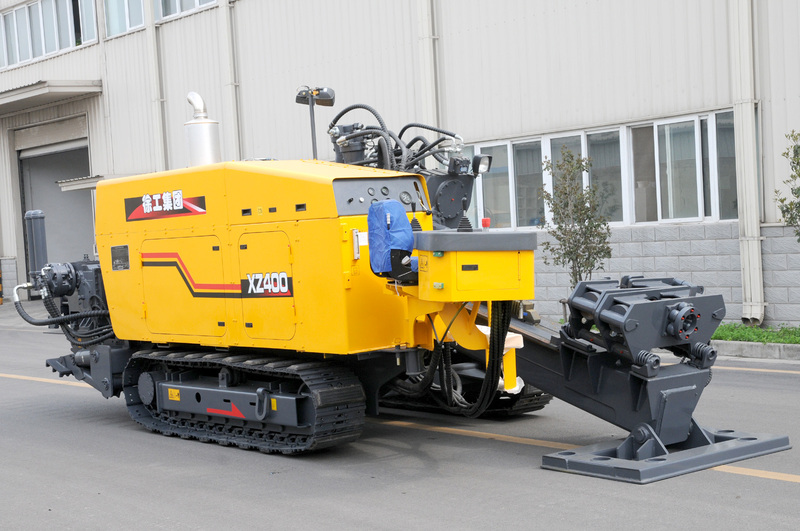 Two-speed unit head: XZ400 XCMG Horizontal Directional Drill operates at low speed when drilling and back-dragging to ensure that it works smoothly; it can slide more quickly when the rod breaker moves back and forth under unloaded condition to reduce the auxiliary time and improve work efficiency. Steel crawler: adaptable to various muddy roads. Floating-type vise: XZ400 XCMG Horizontal Directional Drills applies the proprietary floating-type vise of the company, which can effectively extend the service life of the drill rod. Rotatable control desk: XZ400 XCMG Directional Horizontal Drills widens the visual field and reduces the fatigue of the operator to make the drilling rig operation more simple and comfortable. Easy operation: the operation can be available by rotating and pushing and pulling the power head respectively, and it is easy for operator to operate the whole drilling rig after a short-term training. Convenient maintenance:The engine cover design is reasonable, the replacement of the filter element of engine and hydraulic systemmaintenance, simple and convenient. 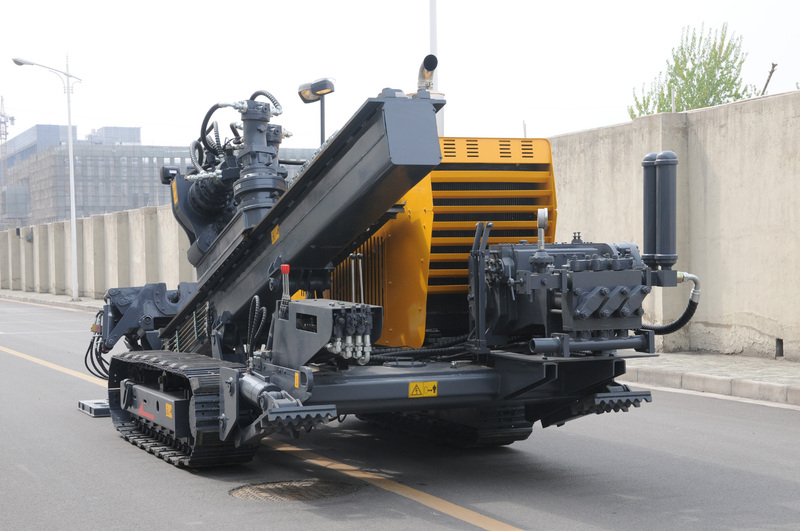 Engine Dongfeng Cummins Engine Co. Ltd.
XZ400 XCMG Horizontal Directional Drill is self directional drilling device into a whole. The main chassis, power head, drill frame, anchor device, engine system, vice,hydraulic system, electrical system, mud system components. The chassis includes the frame and the left, right walking device. Left, right walking device and the frame with high strength bolt are connected into a whole, the rear end is provided with a hydraulic supporting leg.Walking speed reducer adopts built-in planetary reducer(including motor), low running noise, large output torque, compact structure. The machine running therubber track block, can guarantee the influence on pavement, lawn, scenic spots of the minimum. Selection of Dongfeng Cummins engine 6CTA8.3-C240 turbocharged engine. Rated power 179kW/2200rpm,with blowing type oil radiator. The power head is the main driver of drilling rig,hydraulic motor driven by double parallel input gearrack type, slowed by dynamic head gear, the power output to drill. 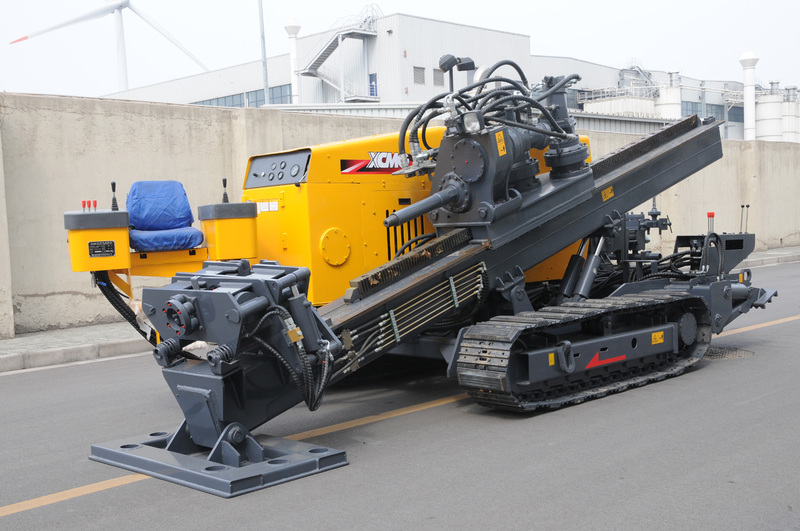 The XZ400 XCMG Horizontal Directional Drill frame made of high strength steel welded together, the angle is regulated by a rear cylinder,power head push and pull device is arranged on thehydraulic motor power head driven gear rackimplementation. Anchoring a small volume, simple and convenient operation. Our company vise application specific patent floatingvice technology, can effectively reduce the wear of drill pipe threads, prolong the service life of drill pipe. The main control functions: engine and its monitoring and control, mud pump, vice, power head rotational acceleration, power head sliding acceleration control.From left to right console, console, auxiliary console,relay box, each sensor connector, diode stack, variousdisplay instrument, wiring harness. Hydraulic pump gear pump and gear pump is installed on the PTO power outlet. The power head rotation andpower head push and pull the oil pump drive, avoidpipe laying operations, all actions affect each other, the key hydraulic components are used domestic famousbig company products, improve product reliability. Mud pump random belt driven by hydraulic motor, can be used according to the manual transformation to pump out water, meet the need of construction. Hebei Xuanhua, Wuxi can drill selection of prospecting and othermanufacturers. The first to expand optional cutting expansion type,expanding type, diameter from 200 mm to 800 mm. The wireless control to the system, the optional DCI companies such as the guidance system. Slurry mixing system includes the engine, sewage pumps, slurry tank,bentonite mixing device, the mud tank capacity to choose 3m3 or 5M3,the user can according to the actual need to select. Note: the product with technical progress will continue to improve, the difference will be in when ordering.